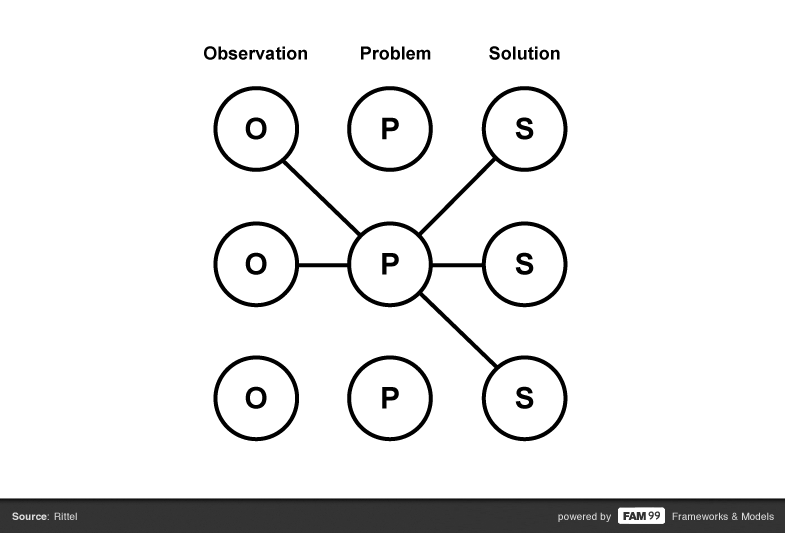 The “Problem Solution Model” is a framework to explain how observations, problems and solutions affect each other. 1) The origin for one problem might be discovered through various observations. 2) There may be multiple solutions for one problem having similar results. 3) Therefore it is important to think about multiple sources a problem can have and about more than one possible solution.